Vancouver, British Columbia – July 26, 2018 – New Destiny Mining Corp. (TSX-V: NED), (the “Company” or “NED”) is pleased to announce it has received the first batch of analytical results from the 2018 summer program on the Treasure Mountain Silver, Precious – Base Metals, Property in BC. The rock sampling was focused around areas of historical workings and mineral occurrences in the eastern part of the property. Due to an above average snowpack and a cooler spring, showings at higher elevations were still inaccessible. Parts of the Jim Kelly creek, Railroad creek and Tulameen river showings were accessible. 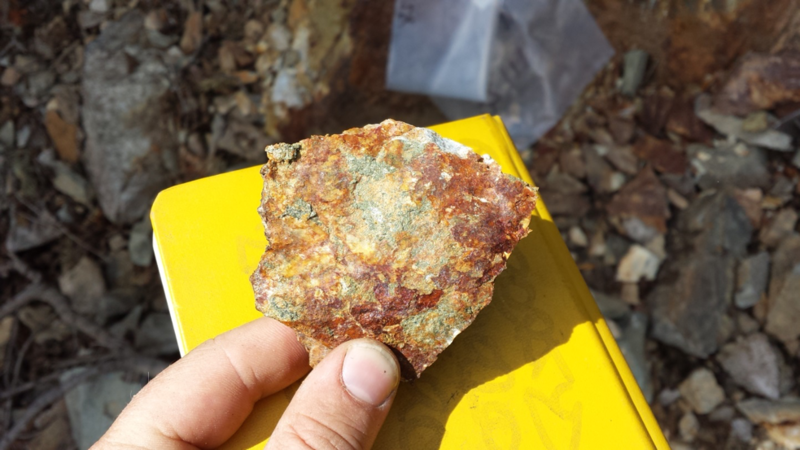 Rock sampling was carried out on the Railroad Creek Copper showing that consists of historical workings that follow copper mineralization. The Superior mineshaft on the bank of Jim Kelly creek was also located and sampled. The mineshaft follows a gold and silver bearing quartz vein. Another mineral occurrence also referred to as the Superior (or Lucky Todd) was located and sampled in the Tulameen river area. This showing consists of hand dug trenches on a porphyry dyke. Listed below are the highlights from the rock sampling program. The samples listed below are either outcrop or subcrop grab samples (grams per tonne or g/t). The rock samples were analyzed by ALS Canada Ltd. (North Vancouver laboratory). The samples were analyzed for gold by Fire Assay – AA and for 48 elements by four acid ICP-MS.
A more detailed work program is planned for these showings. Currently work is underway on prospects at higher elevations. 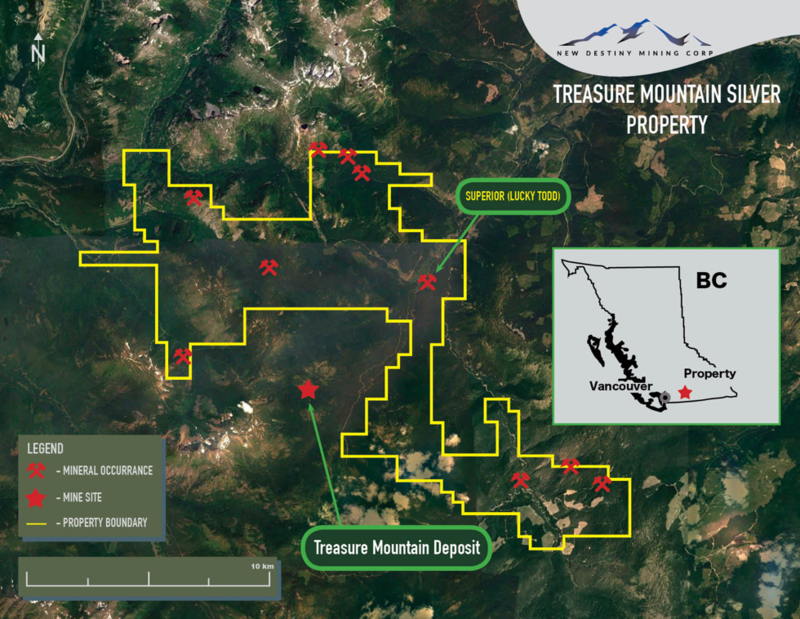 The Treasure Mountain Silver property hosts multiple occurrences of silver, gold, lead, zinc and copper; and two copper – molybdenum occurrences. 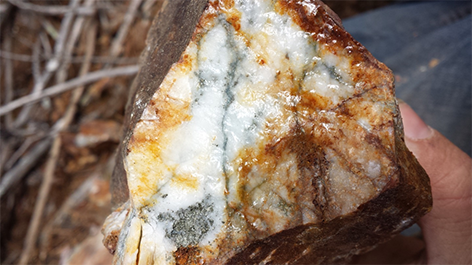 Copper and nickel mineralization is also reported locally in the northern region of the property. In addition, the property partially surrounds the Treasure Mountain property of Nicola Mining Inc. which hosts polymetallic veins and the historic Treasure Mountain silver-lead-zinc mine. Railroad creek area copper showing ( east region north of Railroad creek): Two 2011 grab samples from rock piles near adits were reported to exceed 1% copper and up to 76.4 g/t silver.